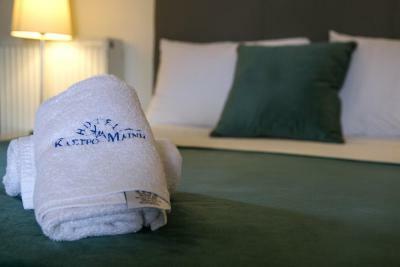 Lock in a great price for Kastro Maini – rated 8.3 by recent guests! 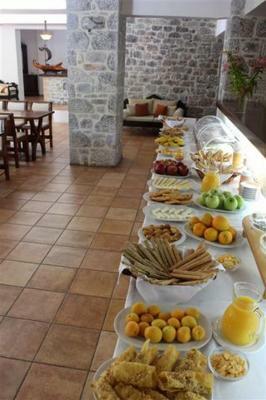 They had a very expensive breakfast buffet with classic Greek items and something for those from other countries. The bed was very comfortable in the room was very large. We didn't go in the pool but it looked very nice in laid out by it one day. It's very quiet in that area on the outskirts of the town and easy to walk to the Center Square. Everyone in the family that works there is extremely nice and accommodating even when I was trying out my limited Greek. Very nice hotel with friendly personnel. I like you can also buy some local products at the reception e.g. orange or strawberry jams. Seaside is 5-10 min drive, beautiful Diros caves 20-30min. Spotless Hotel, Manager and staff friendly and helpful. Beds very comfortable and good plentiful breakfast. 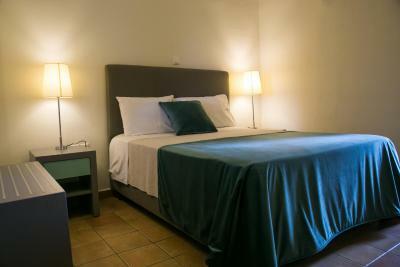 The rooms were comfortable and very near to the swimming pool. The pool was lovely and relaxing after a busy day. We have stayed at this hotel several times and have always had a lovely time. 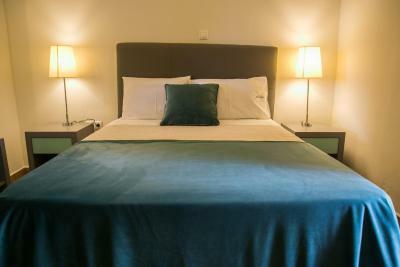 The room this year had been refurbished so was even better than usual. We were greeted on arrival with genuine happiness that we had returned and on leaving was given a bottle of the hotels olive oil as a gift. As for the breakfast, absolutely magnificent. The room was big and comfortable. The staff helpful. Good breakfast. Swimming pool and relates bar very nice. Everything. Perfect. Big rooms, ac works great. Great views. 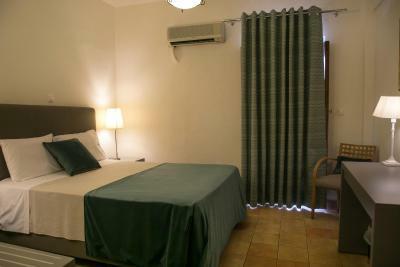 Kastro Maini has a warm and welcoming feeling with very comfortable room. 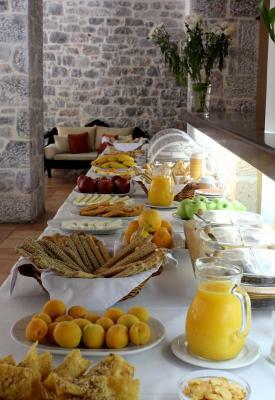 The breakfast was terrific with a very good variety. English would be a small problem to non Greeks but not insurmountable. Lots of good restaurants within walking distance. The Hotel was excellent. Really nice facilities with swimming pool and amaizing rooms. At 5 minutes walking from the center of Areopoli, perfect to move around the zone (like Limeni). It is a family property and there is always someone there to answer any questions or request may arise. Kastro Maini This rating is a reflection of how the property compares to the industry standard when it comes to price, facilities and services available. It's based on a self-evaluation by the property. Use this rating to help choose your stay! One of our best sellers in Areopoli! 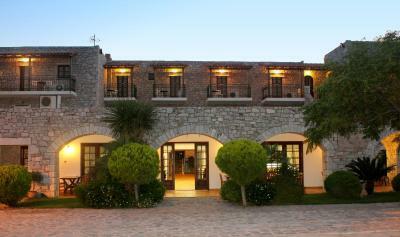 Kastro Maini is in the heart of the historic Areopolis, in central Mani. The traditional stone-built building features a pool with hydro-massage and a pool for children. 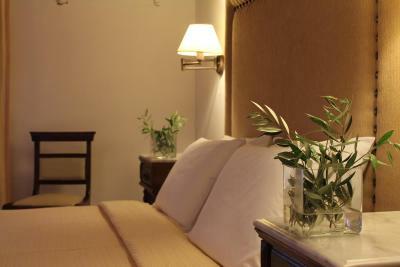 Accommodations at Kastro Maini consist of well-furnished, spacious rooms with traditional iron beds. The private balconies have view of the gulf of Messiniakos or to the southern part of the Mount of Taygetos, called Sagias. Traditional meals are prepared and served at the restaurant. Drinks and coffee are served at the bar, which also features a fireplace. 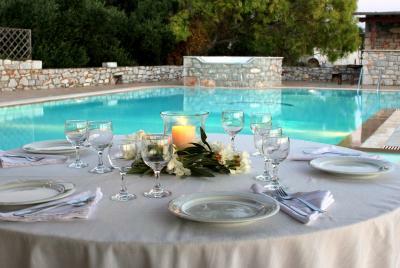 When would you like to stay at Kastro Maini? 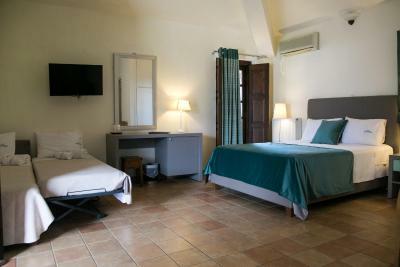 Elegant room with air conditioning, TV, Wi-Fi and balcony with views of the garden. 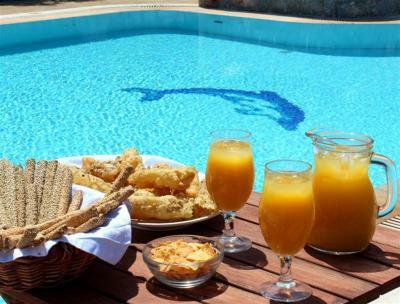 A traditional Hotel in Mani, Greece The natural beauty of steeple rocks, caves and canyons in a tight embrace with the culture of Lakonia, Peloponnese contributes to the distinct traditional scenery of Aeropolis, Mani. In the historic heart of this amazing part of Greece Kastro Maini's traditional apartments, Mani offer unique hospitality for couples and family any time of the year. 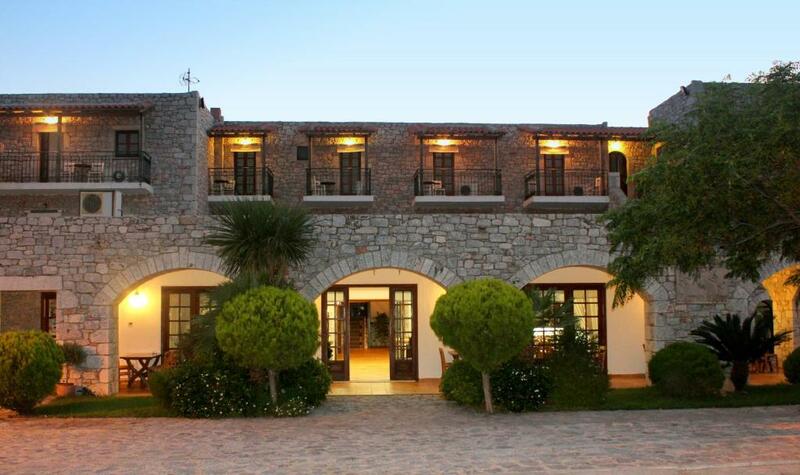 Quality Living Hotel in Lakonia Kastro Maini is a stone built Hotel on the top of the hill of Areopolis village with spectacular view to the mountain of Taygetos and to the golf. 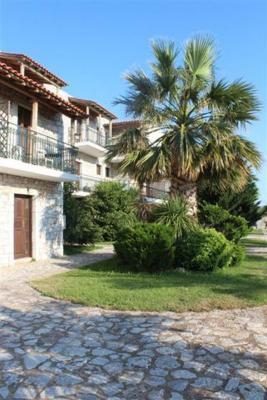 Mani which honors the traditional architectural style of Aeropolis, Greece and the visitors' anticipations. In this traditional accommodation in Mani the warm family atmosphere promise unforgettable memories from Peloponnese, Greece. 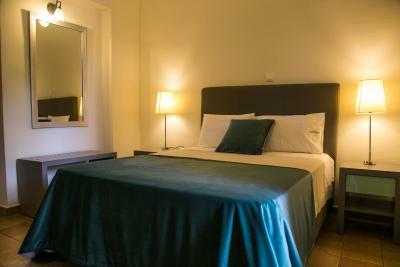 Comfort and safety are of first priority in this Hotel in Areopolis, Mani. Kastro Maini ensures a relaxing stay for the family and for couples. House Rules Kastro Maini takes special requests – add in the next step! Kastro Maini accepts these cards and reserves the right to temporarily hold an amount prior to arrival. The smell of diesel from the generators was over powering. In the monring and some evenings it filled the corridor. Suggest they ventilate the diesel room differently. Close to the old town, a nice short walk. The owner was helpful and hospitable. Some of the bathroom fixtures seemed quite old but it is an old building and that kind of added to its charm. Everything was kept very clean though. DO NOT STAY IN THIS HOTEL. Had to cut a seven night trip to a very average three nights. I would comment on the hotel itself, however, I’m absolutely disgusted and distressed to say that I experienced sexual harassment. After a morning at the beach, we (myself and my partner) returned to the hotel to relax at the pool. Two young men arrived and sat on the sun loungers directly opposite us across the pool. They were Greek and appeared to know the waiter. After fifteen minutes, I caught the two young men taking photos of me in my bikini and laughing. Naturally, this was a very distressing and embarrassing situation, one you do not pay to go on holiday to experience. I complained immediately to the waiter (the one they appeared to know), who, with very little English knew exactly what I was referring to and understood (I should mention he served them food shortly after they arrived and it was quite clear I was the topic of the conversation but thought I was being paranoid). After I complained, he approached them and immediately took their phone and appeared to delete the photos. After this, the waiter walked back to us at our seats at the pool and claimed that the photos had been deleted, therefore confirming that our suspicions were correct and they had been taking photos of myself. He explained they were ‘silly boys’ but that there was not much else that he could do. They were not asked to leave. We were left with no choice but to cut our stay short. A person, male or female, should never ever be subjected to such humiliating and disgusting behaviour. Absolutely appalled and utterly disappointed. Would not recommend staying at this hotel. Ever. Staff were lovely and always helpful. Pangiotis was such a great host and owner. Such a friendly person. He takes great pride in his hotel. It's clean, comfortable, the room was the biggest of our stay so far.. The location was perfect. We had a beautiful view of the sea. This is such a hidden gem. I almost don't want to tell anyone. We will be back and we will only stay here. Best value so far. The bathroom was very small and a big person would have difficulty getting to the toilet or shower. The first night i did not sleep much because there were mosquitos in the room. Perhaps they could they could offer Raid and something else to prevent this. Hard beds +++ and we both like hard beds! Clean rooms / great pool area. The hotel room was small. We were the only customers but were put in a room with a poor view. The bathroom was also small. It was not good value for money.